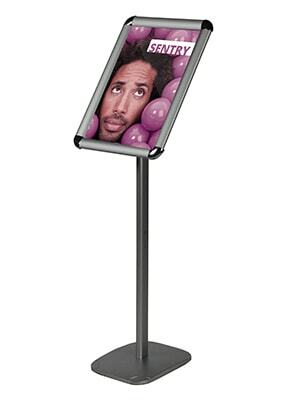 Simple snap action freestanding poster frame that is ideally suited to information display. Hardware cost RRP: £47.00 excl. VAT & delivery.